There has been lots of speculation and debate recently as to whether or not the Wii U is more powerful than the current generation Xbox 360 and PS3. 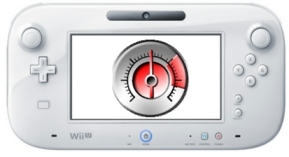 Developers who have actually physically got their hands on a Wii U have been divided in their opinion with some claiming it is slightly more powerful and others critical that it's actually slower. However, Jeremiah Slaczka, the CEO of 5th Cell has weighed in by saying that the it's "definitely more powerful than Xbox 360 and PlayStation 3". Slaczka also added that "it’s kind of frustrating to see the rumors and speculation of people going back and forth saying it’s weaker or more powerful". 5th Cell, who are currently working on Scribblenauts Unlimited for the Wii U, were one of the first developers to see the new console and therefore many feel that they have had more time than most to judge it's full capabilities. Even after this endorsement, it's unlikely this debate will cease until the technical specifications are actually revealed by Nintendo, something they have been keeping a closely gaurded secret. An announcement is also due in the coming months regarding the release date and pricing.